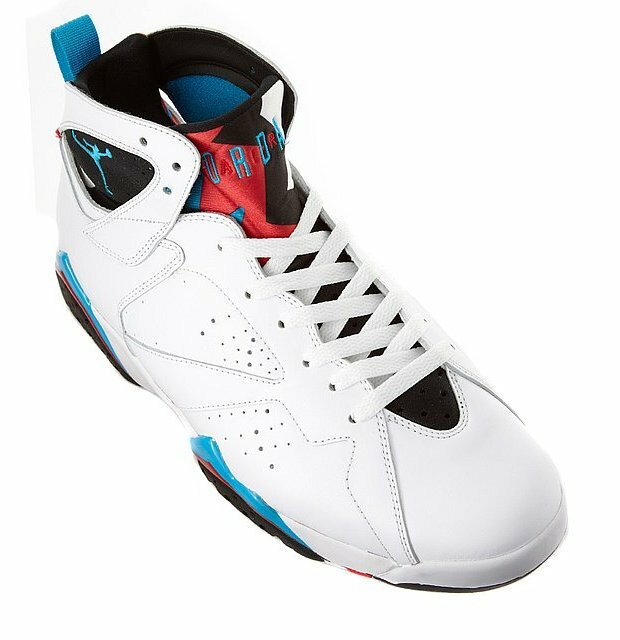 DJ Lucky C. The Youngest in Charge: Sneakers of the Week: Air Jordan 7 "Orion Blue"
Sneakers of the Week: Air Jordan 7 "Orion Blue"
This Week I'm Back! With Another Retro Jordan for all You Collectors! I Personally Like These! Perfect Way to Kick-off the SpringTime! Got Some Nice Colors that Accent that White and Black! Its a Dope Shoe! My Only Issue With the Shoe is that Up Close, the Red is so Light, it Looks Pink! Nonetheless its a Great Shoe! The Air Jordan 7 “Orion Blue” is set to release this on March 26, 2011. This colorway is being overlooked by many thanks to the upcoming Air Jordan 7 “Bordeaux” and Air Jordan 7 “Cardinal” releases. Yet, it still retains a strong following with its flashy infrared and blue highlights. 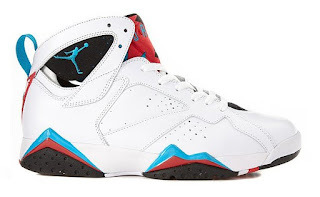 Today, more photos have surfaced via online retailers in Europe that have already begun selling this shoe. Will this be a definite purchase for you? View detailed photos below. 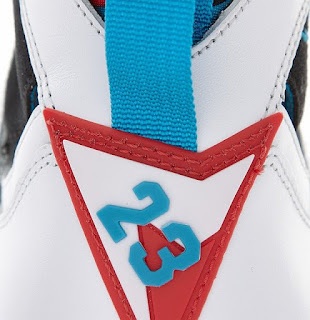 I Also Have a Special Surprise on Saturday When These Shoes Drop! 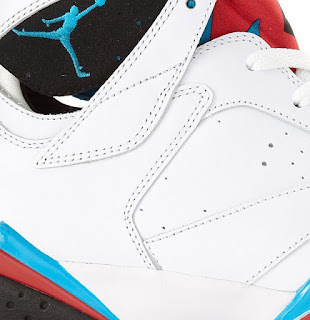 Another Installment of the Retro Kickz Mixtape Series but Since There Are Other Retro 7s, I'm Gonna Drop 23-Minute Mixes Featuring Music from 1991-1992. The Next Actual Mixtape Will Drop When the Cardinal 7s Drop! 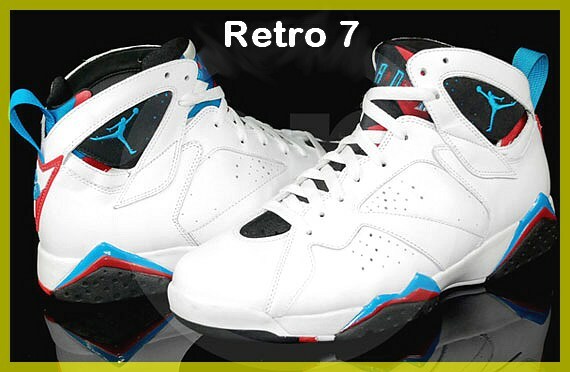 So Be Sure to Log Back on to Listen/Download the Retro Kickz "Orion 7s" Mix ! Check Out the Pix Below! 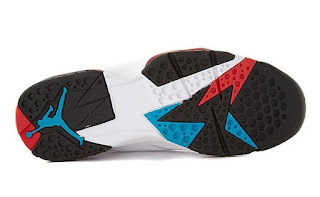 See You Next Week for the Sneakers of the Week!!! Sneakers of the Week: Air Jordan 2011 "Black Out"